Azamara Club Cruises is proud to again partner with PerryGolf™ for another exceptional golf and sightseeing voyage this time to Vietnam, Hong Kong and Japan on board the outstanding Azamara Journey®. Your voyage from Singapore to Tokyo for sixteen nights includes six ports and six rounds as you sail some of the most fascinating areas of Southeast Asia. 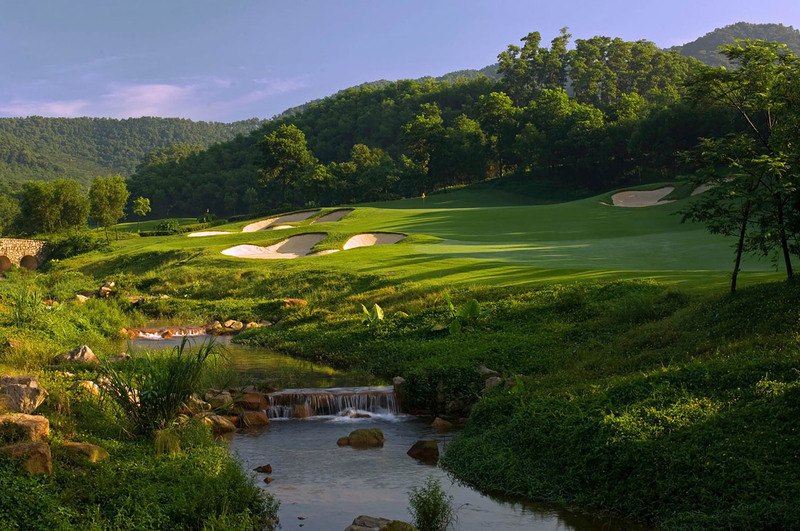 The golf is spectacular beginning with Tan Son Nhat and Da Nang Golf Club in Vietnam followed by the Olazábal Course at Mission Hills in China while we’re in Hong Kong then one of Japan’s most highly regarded clubs the Osaka Golf Club. As always, PerryGolf’s cruise staff will be onboard and ashore to oversee all aspects of your golf experience from tee times and daily pairings to the handling of your golf clubs throughout the voyage. Green fees and starting times for Four rounds of golf including shared use of electric golf cart. Box lunch at each golf course with open bar for soft drinks, beer & wine. Book this package with PerryGolf by calling 1-800-344-5257 or by emailing information@PerryGolf.com. In order to allow our guests to select the suite or stateroom most appropriate to their individual expectations and requirements, we present our prices separately as a Golf Package and a Cruise Fare. The cruise fare is dynamic and may change (until booked and locked in by each PerryGolf guest), but you are assured of the best available selection of suites and staterooms AND the very best available rates which exist at any point in time with PerryGolf. Please call PerryGolf to talk to an expert 1.800.344.5257. Prices exclude port taxes & fees of $336 per person.